So one part of me that I both own up to and hide at times is my gamer side. I certainly would love to be able to share it with others, but most of my friends I used to play with have moved on or stopped playing. This does not stop me. I have a few games I play online, but most of the time I am focused on certain series of games. One that has me occupied at the moment is the Legend of Zelda. I have been playing through this franchise since the first game came out…well, not when it first came out. I own systems all the way back to an Atari 2600, but one of the first games I ever beat was the first Legend of Zelda. Though simple in comparison to the games out now, it was actually quite challenging and complex compared to the other games of its time. Starting off outside a cave, Link receives his first sword and is off on a quest to rescue the Princess Zelda from the evil Ganon. Traveling throughout the land, he goes from dungeon to dungeon, collecting items/weapons to aid him on his quest and ultimately let him reach Ganon and Zelda. Moving forward from original, the series began to evolve. Each story brought forth a new sense of the story and slowly a theme developed to help tie the stories together. 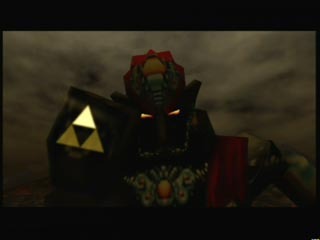 Ganon/Ganondorf makes an appearance in most of the games and generally ends up being the final boss battle. It became apparent that the bloodlines of Link and Zelda allowed for a lot of the connections between games without starring the same individual Link and Zelda, though Ganon/Ganondorf is immortal and recurs in different forms. It was the Ocarina of Time that officially started to make the connection. Link gets the story from the Great Deku Tree at the start of his quest, which highlights the three goddesses that created the world but had to banish an evil presence which had recently escaped. 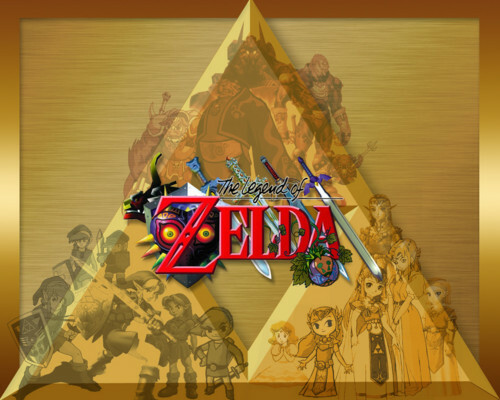 Different races of characters and storyline themes were developed alongside of this story, including the solidification of the landmarks that make up Hyrule. Whether you look at the mountaintops in Wind Waker and the surface world during Skyward Sword, Hyrule remains fairly similar from that point forward. In honor of the 25th anniversary and with my love of creating lists, I have my top 3s (specifically referencing the three parts of the triforce) of this great series. I will also point out that I have not played most of the handheld games and have only limited knowledge of Majora’s Mask, which means that those games will be highly unrepresented in my most memorable elements of the games. Gohma – While not the most challenging of the bosses (especially when you consider the Twilight Princess version), he has been an enemy of Link since the beginning. The formula is always similar. The weak point is always the eye, whether it is on the front or on top of the body. Gohma has also appeared in both a spider and scorpion style creature. I would anticipate that Gohma will return in the future. Shadow Link – Appearing in a few of the major titles, it is never easy to battle yourself. The first carnation was in Link II, where the game ended with a fight against your shadow. While the fight proved to be difficult, any fight where the enemy mirror’s your motions seems like it would be a stalemate. 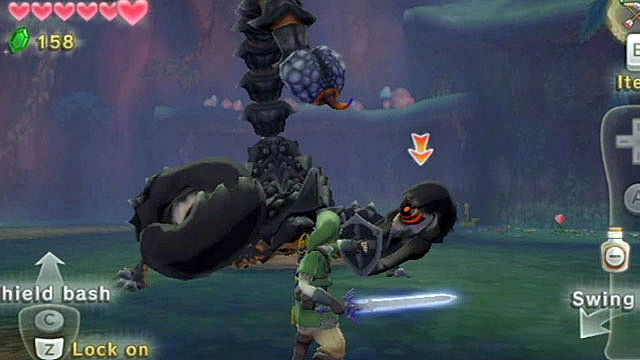 To expand on the options with shadow creatures, several of the other major bosses ended up using shadow versions of themselves to slow Link path to Zelda. Ganon/Ganondorf – The final boss is usually one of the best fights of the game. Whether you look at the first version which was invisible or the epic fights in Ocarina of Time and Twilight Princess, this is always a challenging fight. 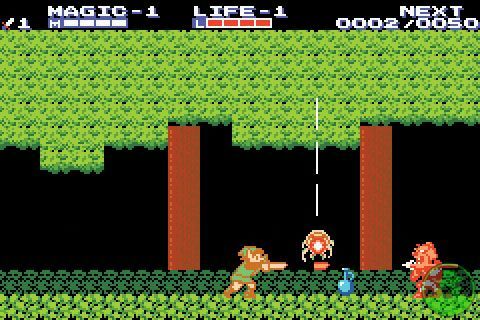 In the more recent editions, Zelda has gotten in on the fight, using light arrows to stun the demon king. When you have an enemy that can only be defeated but not actually killed, there are excellent opportunities to revisit the intense battles with a well-matched foe. The Water Temple (Ocarina of Time) – Probably identified as one of the worst on most Zelda fans’ lists, the constant tracking back through the dungeon to change the water level just feels exhausting. This gets magnified when you realize that you play the ocarina at the wrong time and have to correct the mistake. All of this ends with a decent boss fight against an eyeball traveling through jelly-like water, but at least the Shadow Link fight is in this level. Lord Jabu-Jabu’s Belly (Ocarina of Time) – Odd that two of the dungeons in a nearly flawless game make this list, but this level includes having to babysit a very annoying Zora princess. The level itself is fine with the enemy fights and the final boss, but having to backtrack when she goes missing is one of the most frustrating aspects of the game. Snowpeak Ruins (Twilight Princess) – Again, this is not all horrible, but the sense of backtracking with the collection of items for soup is just too much at times. The puzzles are fine. The enemies are fine. The final boss is okay. Why are we stuck on a mission for soup? 3-D Gameplay – When Ocarina of Time was released on N64, a dynamic series was taken to a whole new level. A Link to the Past included the most complex story up to that point, but the world expanded greatly on the day of the release. 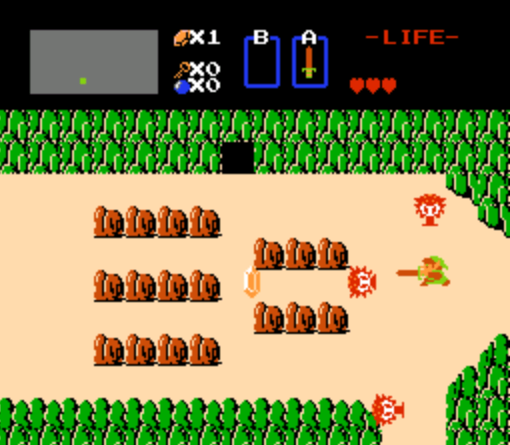 New weapons were added that increased the range of Link’s fighting ability and puzzle solving. It also meant swimming was added to include new underwater opportunities. Motion Play – Though obvious, this added a true feeling of swing the sword and aiming the bow. With the latest installment, there is even more sensitivity and elements that require twisting, thrusting and snapping of the remote to achieve certain reactions. Connected Storyline – Though not a visual element, Ocarina of Time (as mentioned above) introduced a true backstory for the Link/Zelda/Triforce legacy. The creationism story became a staple to be highlighted in many of the games that followed. Wind Waker was years after Hyrule was flooded over, with some surviving races rising to islands above the treacherous seas. 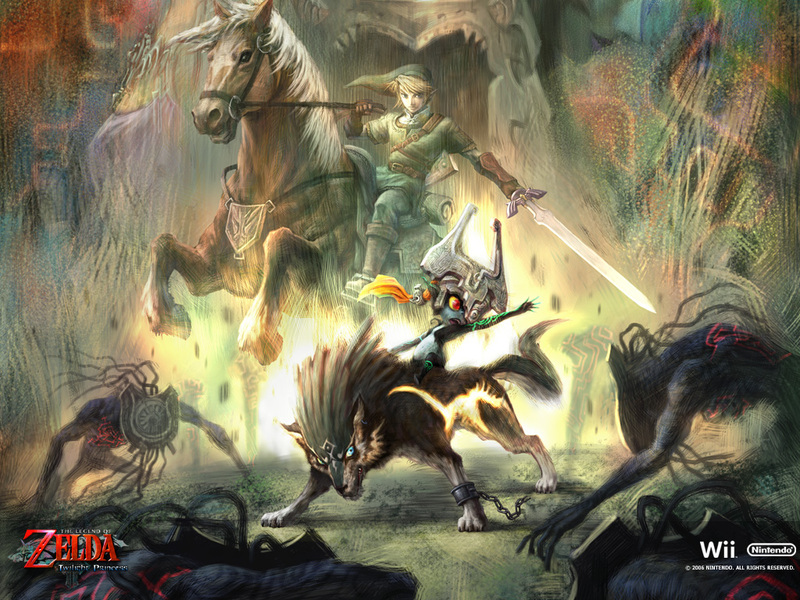 Twilight Princess takes place in Hyrule but introduced the new concept of the Spirit World and the Palace of Twilight. Skyward Sword starts away from Hyrule with a village of people who only know life in an island in the sky. Ganon’s story finally made sense and was getting explained in most of the major games after Ocarina. Clawshot – Though it first started as the hookshot, this dynamic item worked as a weapon, item grabber and shortcut. Though not powerful, the clawshot can be used to stun enemies or take out smaller ones like Keeses (bats) without using arrows or the slingshot. Those pesky items that are out of reach are not as so when the clawshot can serve as a grabber. Finally with its ability grab hook points, vines and climbing walls, traversing dungeons and rough terrain is a bit easier. Magical Key – Appearing in the first game, this key is a skeleton key that works on every dungeon lock. It only appears in dungeon #8 in both versions of the game, but it makes the rest of the dungeon and final dungeon easier to get through. 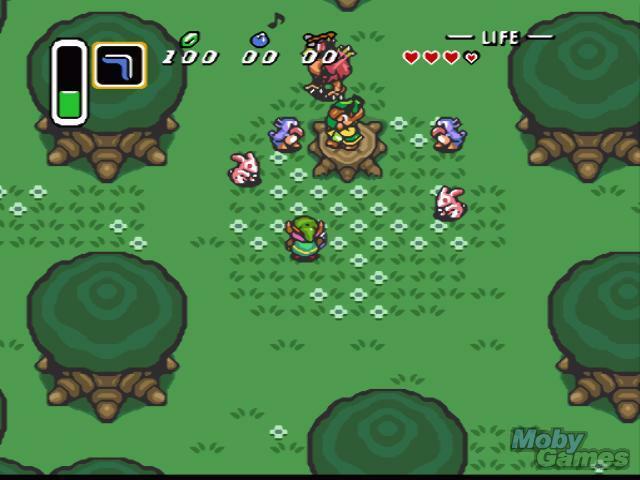 Musical Instruments – Each game has a different musical instrument, though the flute or ocarina appear in several of them. Instruments have the ability to warp link to other areas, open doors/gateways, change the time of day, call Epona and unlock secrets. Some games are more centered around the instruments like Ocarina of Time, where others are not even permanent items like with the reeds in Twilight Princess. Midna, Navi & Fi- All of these characters are the guides for our hero, but all of them also overdo the help. Each are extremely talkative and cut off the action at some of the most annoying times. Navi, in particular, actually sometimes comes out flying into the view of the camera and can temporarily block a necessary item on screen. They are supposed to be helpful characters, but they are overused in each of their stories. It is also not explained what the real connection with Fi is. Ruto – She is the Zora princess from Ocarina of Time who requires way too much assistance in Lord Jabu-Jabu’s Belly. She comes off as a little too playful in a very dangerous situation and also has an odd crush on Link, which is clearly not reciprocated. The adult version is better as she only ends up being identified as a spirit guide for Link. Old Man – In the first game, he is the man who both gives you your sword and then shows up all over Hyrule in caves and random dungeon locations. His guidance is almost Yoda-like and requires some deciphering to understand what he means. If you happen to make him angry, he starts throwing energy balls at you until you get out of his space. Ocarina of Time – A boy of destiny is awakened as the Hero of Time. He is tasked with the responsibility to meet with the Princess Zelda, collect the spiritual stones and unlock the Master Sword. Transporting 8 years into the future, the world of Hyrule has changed, with Ganondorf’s minions having taken over the land. The universe was significantly expanded with this game and its ability to alter the entire concept of the game midway through. Wind Waker – While not always seen as a strong presentation of the series, the concept of the game is very different from the other major platform stories. Link is a child on Outset Island, unaware of the huge world beyond the shores. When a group of pirates give him a chance to get out on the open seas to search for and rescue his sister, he discovers a much larger quest to unlock the power to take out the evil Ganondorf and restore order to the world above the water. With the former Hyrule resting in suspension below the seas, Link gets to explore both the waters above and some of the land below. A Link to the Past – Though actually the first game to set up the backstory (and potentially with more detail than Ocarina), it is easily lost if you do not read the manual. The tale starts with the creation of Hyrule and the goddesses of Power, Wisdom and Courage plowed the land, grew nature and created life. The Triforce was hidden, which contained the power of the goddesses, as the Hylians distorted the lore after many generations. The Evil Ganondorf was able to find and make a wish to the Triforce, bringing power and evil to the land. The Hylian knights fought valiantly, allowing for the sages to seal Ganondorf in the Golden Land, which under the evil presence had become the Dark World. When an evil wizard rises to restore the connection with the Dark World, Zelda calls on Link to first save her from the castle dungeon and then to go off on a quest to stop the wizard and keep Ganondorf at bay. Though this series is not a secret to anybody, it is far from over. The coming release of the Wii U means that a whole new reincarnation of this amazing story. I certainly cannot wait.